If someone you know has been arrested at or around California Institute of the Arts and transported to the Santa Clarita Sheriff’s Station jail, or any jail in California, give us a call and we can assist to get a bail bond application process started quickly and privately. California Institute of the Arts, also known as Cal Arts, is a prestigious art school that’s been around since the early 1960’s. Like many other colleges, Cal Arts sees its share of bright young minds passing through its doors, as well as many parties and social events. While most of the time the setting of the school is tranquil and serene, things can sometimes get out of hand and the police are called. For fast booking, charge or bail information, you can reach us 24 hours a day locally at 661-299-2245 or toll-free at 877-422-4591. We are a local bail agency with offices located directly across the street from the Santa Clarita Sheriff’s Station! We will guide you step-by-step through the simple bail bond application process and get your friend or loved one out of custody as quickly as possible. We can meet at our office, your home or office or directly at the jail. If you have questions, know that we are available to assist you 24/7. When someone is arrested at Cal Arts or taken into custody anywhere in Santa Clarita, they will be taken to the Santa Clarita Valley Sheriff Station for booking and processing. During booking and processing, fingerprints will be processed, mug shots will be taken and a nationwide background check will be conducted. The entire process can take anywhere from 2 to 6 hours to complete and a bail amount will then be set for those who are eligible. Once booking and processing is completed, arrestees may be detained at the Santa Clarita Sheriff Station until their arraignment. However, if the jail is overcrowded (and it often is, due to its small size), it is highly probable that men will be transferred to Twin Towers Correctional Facility and women will be transferred to Lynwood Jail. If this occurs, time in custody will be lengthened significantly as inmates are processed into the system. Therefore, it’s always prudent to begin the bail process as quickly as possible to shorten their time in custody. Cal Arts Campus Safety provides a full range of services to the Cal Arts community 24/7 x 365. The department is located in Room E100 in the main academic building. It’s important to know that Campus Safety is not a sheriff or police department, but is responsible for law enforcement, security, and emergency response at the Cal Arts campus. Campus Safety does work closely and cooperatively with the County of Los Angeles Sheriff Department. There are a number of reasons to secure a bail bond as quickly as possible if someone you know or loved has been arrested. 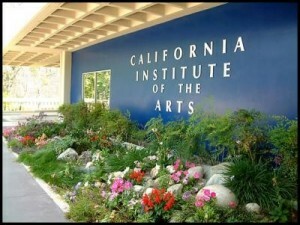 In the case of California Institute of the Arts, there is a good chance that the person is a student there. When arrested, an individual may miss important classes, test dates or projects that will be very difficult (if not impossible) to make up. Cal Arts is a very competitive school, and failing an entire semester due to missing a few important dates is a very real possibility. Aside from missing important college classes, bailing someone out will allow them to continue to work and/or meet family obligations. Many students who attend Cal Arts are from all over the country and those in the position to bail them out may not be in the area. As such, SCV Bail Bonds offers several options to fill out and complete the bail application by phone, fax and email from anywhere in the United States. For those who happen to be local (or semi-local), a bail bondsman can meet you at our local, comfortable offices, your home or directly at the jail to assist you there. Our goal is making the process as easy and stress-free for you as possible. To make paying for the bail bond easier, we offer flexible payment plans for those who qualify. We also take all major credit cards, debit cards, wire transfer, direct deposit and checks (upon approval). See why choosing our company can make all the difference in your world. Just give us a call and tell us about your situation. For more information on California Institute of the Arts bail bonds, speak with a licensed bail bondsman any time day or night at 661-299-2245 or toll-free at 877-422-4591.